This Introduction provides an overview of my invention: a special marine hydrokinetic turbine that always spins in one continuous direction even when subjected to bi-directional air or tidal flows. The turbine is uncomplicated and straightforward; it's all about directing fluids in an elegant and creative way to do useful work. The only moving parts are the two rotors. There are one-way bearings sealed within the hubs of each rotor. These are affordable, off-the-shelf bearings. Simplicity of design is an absolute necessity for an ocean-based device to be successful and cost-efficient. My turbine is designed for long-term survivability. It is robust and will last for decades with minimal maintenance. No wave energy turbine components are immersed in sea water. Engineering studies have been completed at three universities. The first study at Oregon State University (OSU) validated the Hanna design as a self-rectifying turbine powered by alternating air flows. A second study from France's Paris Tech, compared the Hanna Turbine with the Wells and Impulse Turbines using two advanced predictive methodologies: numerical modelling and 2D monodimensional analysis. In this study, the Hanna design showed better efficiency metrics than the Wells and Impulse Turbines. The third study was done at the Dubai campus of Heriot-Watt University, one of Scotland's oldest institutions of higher learning. This CFD study also showed better performance over existing self-rectifying wave energy turbines. It should also be noted that the Hanna design can also be used as a tidal energy converter. This distinction is unique; no other design is as versatile and adaptive to serve both energy sectors. About John Hanna, (DBA WETGEN): Navy veteran. Coast Guard documented mariner. Former skipper of the research vessel "Ed Ricketts" for California State University's Moss Landing Marine Laboratory. Mr. Hanna has twenty eight years' experience in QA/QC management on multi-million dollar government and private sector projects for structural steel and welding. He was contracted by Ocean Power Technologies as the QC manager for their PB-150 PowerBuoy built in Oregon. WETGEN has been a licensed business in the City of Coos Bay, Oregon since 2010 (No. 9098). WETGEN is registered with Dun & Bradstreet. Hanna CV and project information on LinkedIn. OVERVIEW: To improve the effectiveness of wave energy harvesting and double the electrical output of existing wave energy conversion devices, the technology needs a more efficient air turbine: The Hanna Turbine offers a powerful unidirectional turbine designed to operate seamlessly in the bi-directional air flow environment common to all OWC (Oscillating Water Column) systems. The Hanna Turbine is a unique dual rotor, mixed flow impulse and reaction type turbine that has both high-lift asymmetrical axial blades and radial vanes for maximum efficiency. The Master's Thesis from France's Paris Tech (see the report posted above) predicts a 70% efficiency for the Hanna Turbine based on numerical simulations and monodimensional (mean-line) analysis. Wave Energy Conversion (WEC) is an emerging technology sector that harvests energy from ocean waves. One sub-class of WEC technology uses special turbines to generate electricity. Although there are different turbine designs in development, they all share a common challenge: Oscillating Water Column devices convert wave motion into alternating expansion and compression cycles within the turbine system. The air flows inside the system can be compared to inhaling and exhaling. 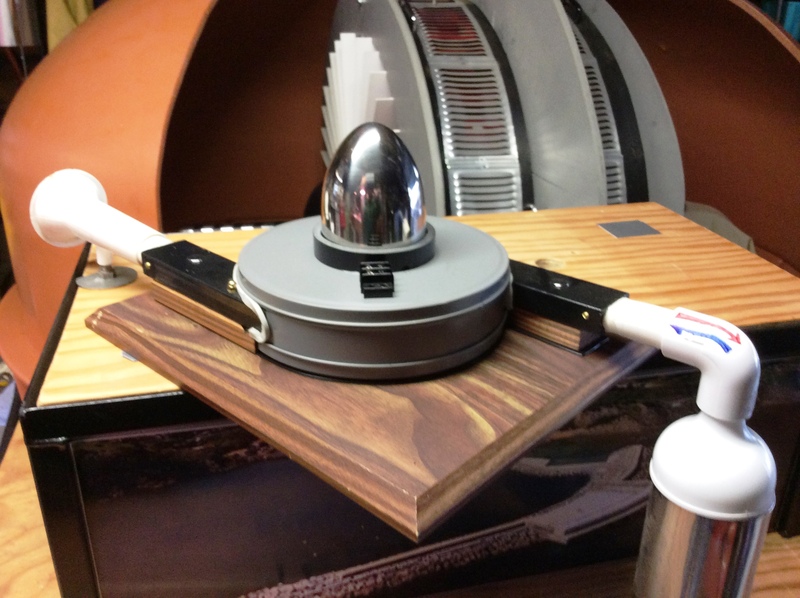 This reciprocating air movement is used to spin a turbine. The challenge lies in how to spin the turbine continuously in only one direction while the air stream is moving back and forth. OWC technologies are the most mature and well-studied of all the other wave energy conversion systems. OWC turbines have been around for over thirty years; no other wave energy system has produced as much utility-grade power to the grid. OWC structures offer an efficient means of conversion: they filter irregular wave patterns which yield a tight, resonant bandwidth inside a wave capture chamber. Also, baffles that are built inside the capture chamber help to dampen and slow down the frequency of incident waves, thus allowing the contained water to continue oscillating after a wave passes by. This stored energy results in a more even amplitude for efficient wave to wire conversion. OWC systems have traditionally employed two types of turbine designs: impulse and reaction. However, all OWC systems, regardless of the type of turbine used, have always been handicapped by having unequal bi-directional air flows: the compressed air coming from the wave capture chamber is stronger and has more volume than the air which is drawn back into the system from the atmosphere. This problem has plagued all OWC systems until now. A new Hanna provisional patent has eliminated this historic shortfall in OWC efficiency. Now, a new method to boost the efficiency and performance of the Hanna Turbine has been implemented. The new patent introduces a cost-efficient, simple way to greatly increase the amount of outside air which is drawn back into the turbine. The new method is based on established and proven principles of physics and fluid mechanics. 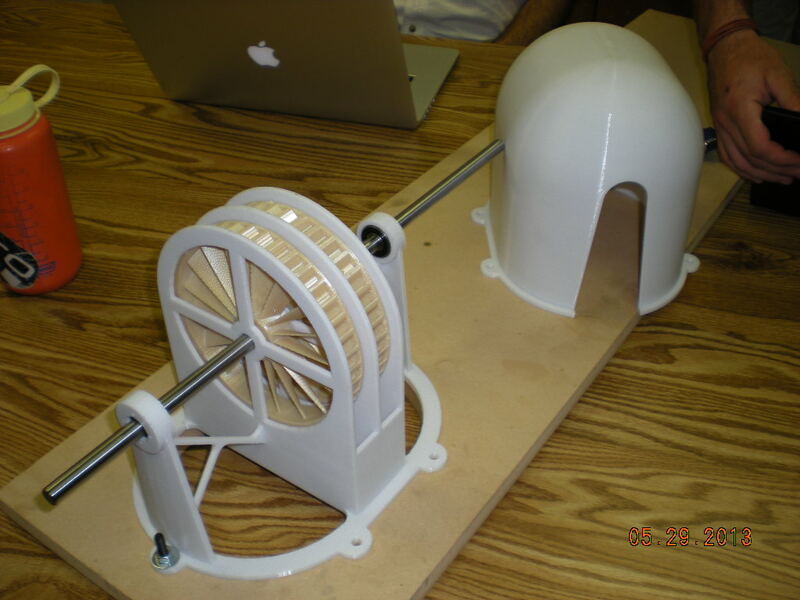 In house tests have shown a substantial multi-fold increase in torque and angular momentum for the Hanna Turbine. The new Hanna technology raises predictive efficiencies beyond all other turbine designs. In addition to the problem of unequal air flows, the reason other OWC turbine designs have not made it big in the global market is because they are either too inefficient or too complex to manufacture and maintain. Wave energy developers initially embraced the reaction-type Wells Turbine. As a result, a great deal of technology development has gone into attempting to enhance and improve the operation of the Wells. But attempts to refine the Wells design will, at best, only achieve a modest improvement in efficiency and operating window. Alternatives to the Wells and impulse turbines are needed. The published high-level research studies show that the Hanna Turbine offers the greatest promise for improving efficiency and market appeal for OWC turbine technology. The Hanna Turbine (HT) is an uncomplicated design. Its two rotors are the only moving parts. It offers long-term survivability for decades of low maintenance service. The unique dual rotor configuration can drive two generators, effectively doubling electrical output. The HT is essentially two distinct axial/radial turbines that will extract more energy from a bi-directional air flow. This is accomplished without the need for complex and expensive variable pitch or counter-rotating blade mechanisms. The HT can be deployed anywhere in the world as long as a suitable wave climate exists. Environmental studies for similar WEC devices now in place, have all resulted in "Findings Of No Significant Impact". No commercial fisheries will be effected. To underscore the remarkable versatility of the Hanna Turbine, the design can also be easily modified to function as a TIDAL turbine. The tidal design application is covered by the existing Hanna OWC turbine patent. Because water is denser than air, this iteration does not require the "Radial Collector Vanes", split flow ducts or "Curved Central Guide Vanes". The dual axial blades are all that is needed to efficiently harvest tidal energy. The submerged platform is fixed to the bottom in line with the tidal flows. The rotors respond to the alternating flows so one rotor will be in the "drive" mode whilst the other is in the "freewheel" mode. As tidal flows switch, so does the drive modality of the turbine's axial blades. Regardless if the tide is going in or out, the unit will produce electricity without the need for complex variable pitch blades or yaw adjustments. Simplicity and versatility is unique to the Hanna Turbine design. The ability to be used as either a wave energy converter or as a tidal energy converter, sets the Hanna Turbine far and above all other OWC and tidal turbine designs! Click HERE and HERE to view two short videos of the Hanna Tidal Turbine on YouTube. The two images below show a fractional-sized 'bent duct' version of the Hanna OWC Wave Turbine. The sketch at the top of the page shows the 'inline' version of the Hanna OWC Wave Turbine. Above: a prototype for the 'bent duct' version of the Hanna Impulse/Reaction-type OWC Turbine. 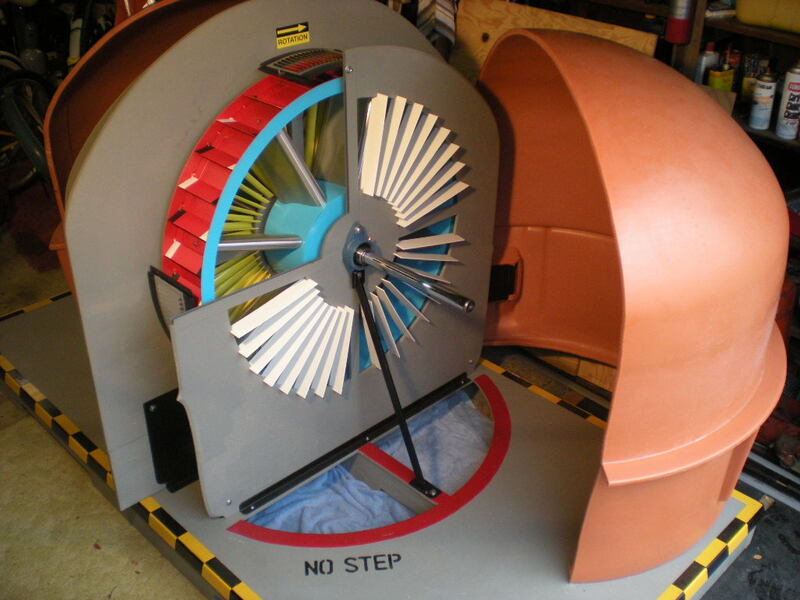 Above: a prototype for the Hanna Monoradial Impulse-type OWC Turbine. 1) A mechanical direct-drive wave energy converter for shore-based, surface and subsurface Power Buoys. Click HERE for details. 2) A small deep ocean autonomous buoy for research and data gathering. Click HERE for details.